You will adore the intricate detail of this filigree Celtic Cross. Handcrafted in sterling silver and hallmarked at the Irish Assay Office in Dublin Castle. 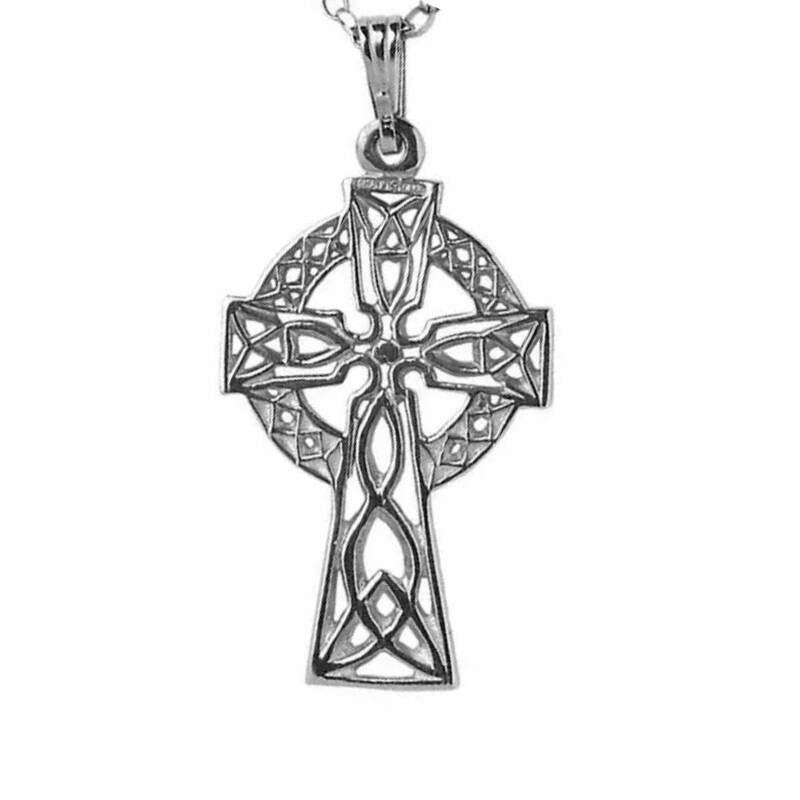 This stunning sterling silver Celtic cross features intricate open filigree Celtic knotwork. The cross measures 19mm wide and 29.4mm and comes fitted with an 18 inch sterling silver chain. Handmade in Dublin and hallmarked at The Irish Assay Office in Dublin Castle. Guaranteed Irish jewelry shipped for free from Ireland.